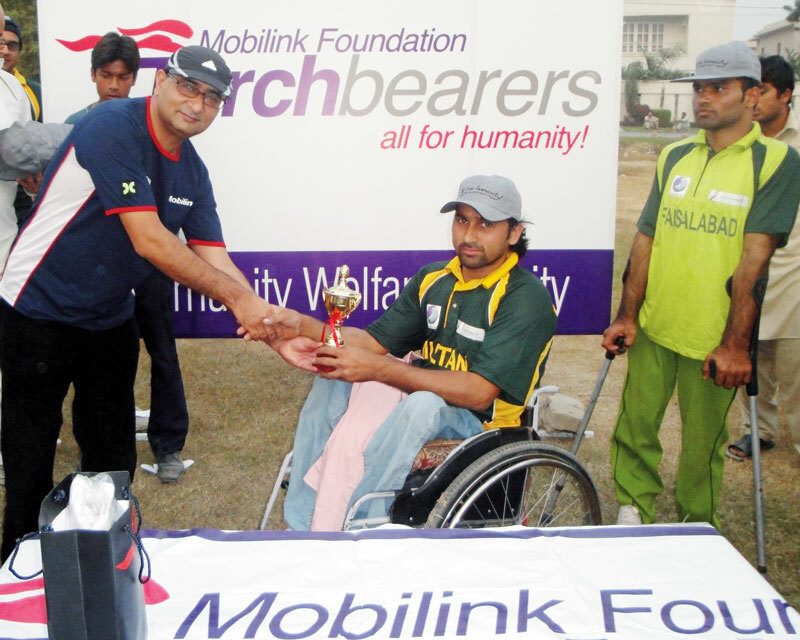 Lahore: Zahid Iqbal, Director, Broadband & Carrier Division, Mobilink presents trophy to a participant at the cricket match. Mobilink recently organized an entertaining Cricket Tournament for the Voice Society for Rehabilitation of Special Persons (Voice). The activity was organized by Mobilink employees volunteering under the banner of Mobilink Foundation to instill socially participative behavior and affirm the equal status of special persons in society. Divided into mixed teams, Mobilink employees and Voice members played by side. A total of 65 players participated in the matches. Zahid Iqbal, Director, Broadband & Carrier Division, Mobilink also attended the match and presented prizes to the participants and trophies to members of the winning team. Volunteerism is a core value of Mobilink’s Culture of Excellence and employees are strongly encouraged to engage in community endeavors. The Mobilink Foundation Torchbearers, as they are called, are sanctioned to clock an average of 4 to 5 dedicated hours per person per month during official working hours. On average the volunteers spent more than 3,000 hours in 2008 in community service and have already clocked in more than 700 hours this year. Founded in 2007, The Mobilink Foundation is the grant-giving arm of Mobilink, which provides support for the local community not only financially but also through dedicated volunteer hours.